Impress your clients with these highly functional, stylish and multi-use document folders. This envelope folder will keep important escrow documents safe and secure and provide tracking information on all the transactions. 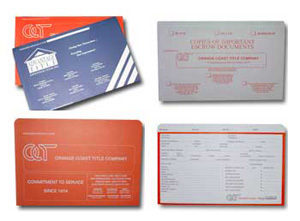 Keep your company name in front of clients at all times during each transaction! Two-sided imprint area. Front, back and tab included.